Hi there everyone! You may remember back at Christmas I made my own Holiday dinner napkins? If not, you can check those out later. Very simple and you can’t beat the price. Plus, they are washable, permanent and super cheap to make. You can buy the two pack of white napkins at Walmart, I believe they are $2.00 a pack. my burlap fabric marker pillow is holding up very well. I have washed my Holiday napkins and not a drop of the marker faded, so I it is true, they are permanent on fabric. 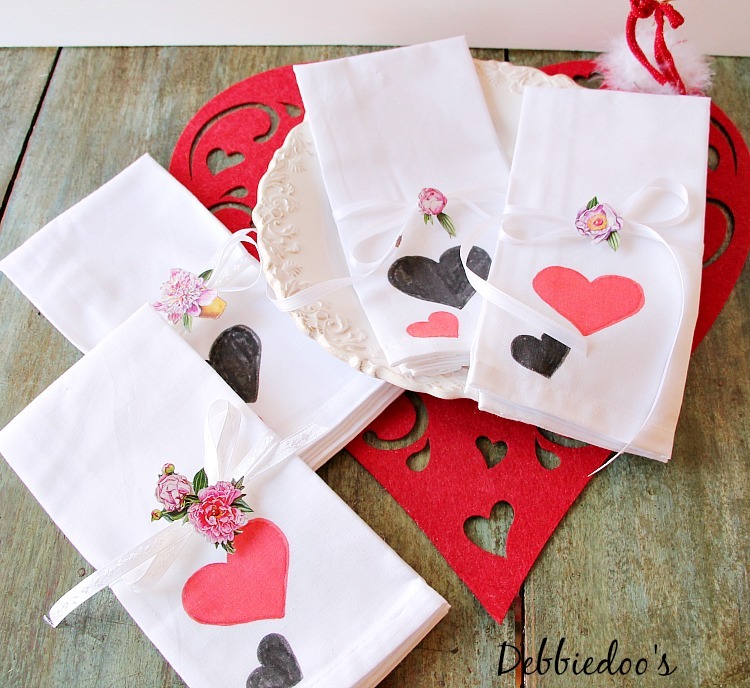 Tied with a simple white ribbon, and embellished with some roses make for the perfect Valentine’s diy napkins. Now to set a table with them. Hope you come again, and if you like you can follow me around. If you like stenciling, I have a Stenciling gallery full of ideas! 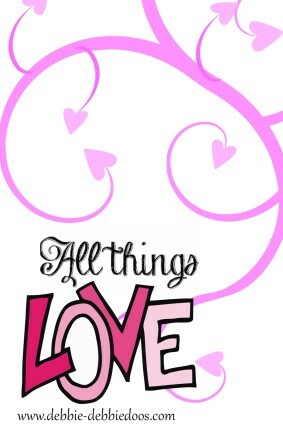 Check out my All things Valentines archives of ideas! Thank you for your visit today! To view my stencil gallery projects you may check out my Debcreates.com page. I share all things, thrifty home decor, crafts and a recipe or two on occasion. So pretty! What a beautiful gift idea! Love it! 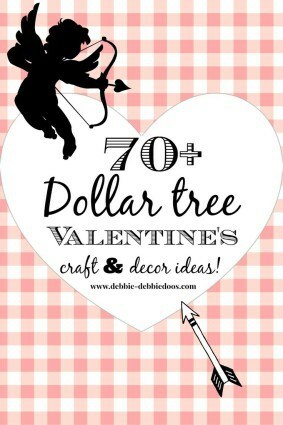 You have so many great ideas for valentines, Debbie! While I’m sure all of the creative ladies featured will have wonderful inspirations, I miss you having a valentines linky party. Very pretty, Debbie! I have got to get some of those markers. These are so cute, this would be fun to make with the kids! Glad to be partying with you again! Great idea & perfect timing because I needed a craft project for a exchange. 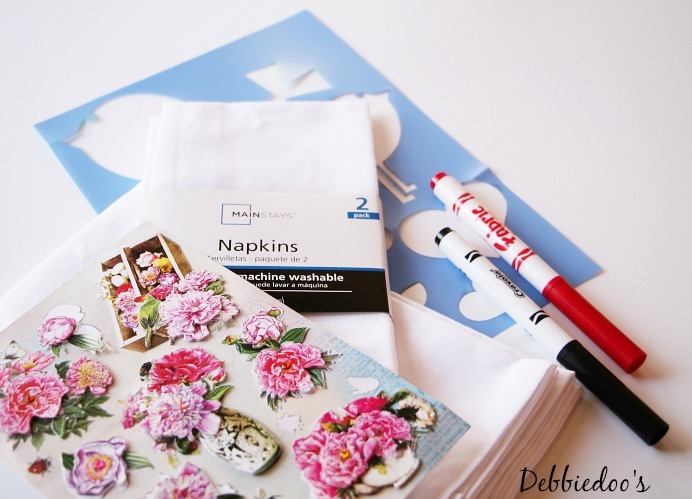 One question do you wash the napkins first, then decorate them, or just decorate right from the store without washing them? I do not wash them first…I do after I use them and the permanent marker works! Thanks, & thanks again for posting this. I know what I’ll be doing tomorrow. This just might be my “go to craft” for when I need that something extra. My wheels are turning with the versatilities! Cute and clever, Debbiedoo. Hope you and your guys are good. Happy Heart Day to you! Those are super sweet Debbie! 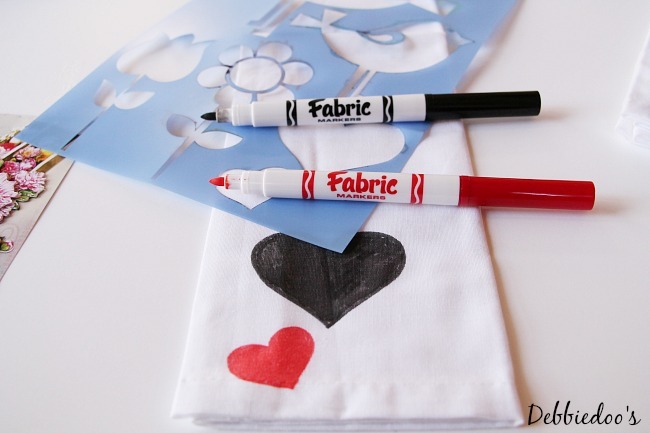 Oh the possibilities with white napkins and fabric markers! LOVE its! Simple and cute. Love your idea Debbie. 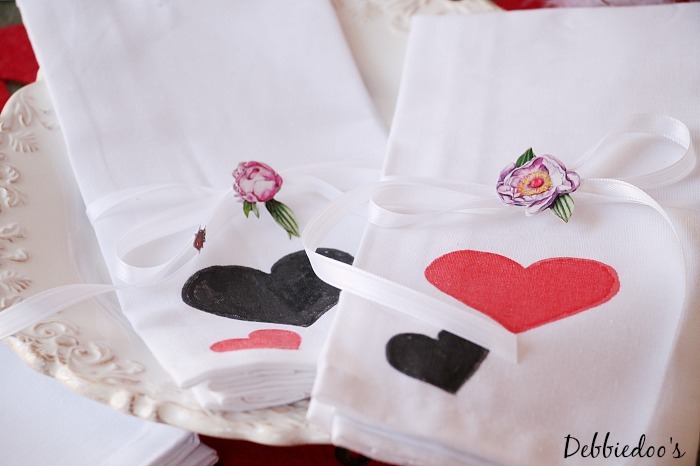 Funny – I was just thinking of making painted tea towels, never thinking to use fabric markers! Your napkins are really cute! Thanks for the inspiration! Those are so cute. I think I’m gonna buy some fabric markers. Debbie, These are so pretty. I never knew you could get the napkins at Walmart like that. You are so clever and I think those will set such a pretty table.